-The Hittites are the first owners. In many mounds, historical riches belonging to Hittites have been revealed. The Hittite emperor who made the Afyon castle is imp Mürsil Afyon. – Frikler (Frikyans), who ruled Sakarya in Sakarya, became the owners of Afyon. The Frikyans called this city a Sineda Fr. The Afyon Museum is the richest of the Hittite and Frikian monuments. After the Jews, the Lydians (Lydians) had this region. -M. SHE IS. In the sixth century, the Persians took possession. A.D. In the 4th century, he was invaded by the Macedonian King Alexander the Great. After his death, he passed into the hands of the Seleucids and then the Kingdom of Pergamum. A.D. In the 2nd century, he joined the Roman Empire together with the Kingdom of Pergamum. – Roman Empire M.S. When it was divided into two in 395, it remained in the hands of the Eastern Roman (Byzantine) Empire. -Music Arabs and Iranian Sasanis came to Afyon. It is rumored that Battal Ghazi, one of the famous heroes of the Muslims, was martyred in 739 while fighting the Byzantines in Afyon. -1071 After the Battle of Malazgirt, the Anatolian Conqueror and the founder of the Turkish state in Anatolia, Kutalmışoğlu Suleiman Shah all conquered Afyon as well as Anatolia. In 1146, the first Kılıçarslan defeated the Byzantine Emperor Manuel Komnenos around Bolvadin. – Crusader armies in the First Crusade took Afyon back. 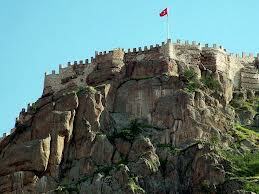 Around the city of Afyon, there were great and bloody wars between the Turks and the Byzantines. Seljuks, Afyon, the Byzantines again. – Alaeddin Sultan of the Seljuk, made the city of Afyon construction. State treasury hid here. For this reason, in the period of Seljuks, a name of Afyon ı Hisar-ı Devlet de was the fortress where the State treasury was kept. – Timurtaş, the general governor of the Mongols, besieged Afyon after the occupation of the throne city Konya, but the Seljuk vizier Sahib Ata did not hand over the city. -On the second half of the third century Sahib Ata Fahreddin Ali Bey, his sons and grandsons also served as the governor of Afyon until the end of the century. The city then moved to the Germiyan Principality. In 1390, Sultan Yildirim Bayezid Khan added Afyon to the Ottoman Empire. In 1402, Timur Khan gave this place back to Germiyan Principality. Upon the death and testament of Germiyanoğlu Yakub Bey, Afyon became the Ottoman soil. – In 1451, he was attached to the Anatolian Beylerbeyligi (state) in Kütahya and took the name of Karahisar-ı Sahib Sanjak. In 1685, the sanjak of the province of Hüdavendigar (Bursa) became a district of Kütahya after Tanzimat. In 1914, the independent province of Afyon, was the province of Afyonkarahisar in the period of the Republic. – It was used as a base where roads were combined and refills in Ottoman period. 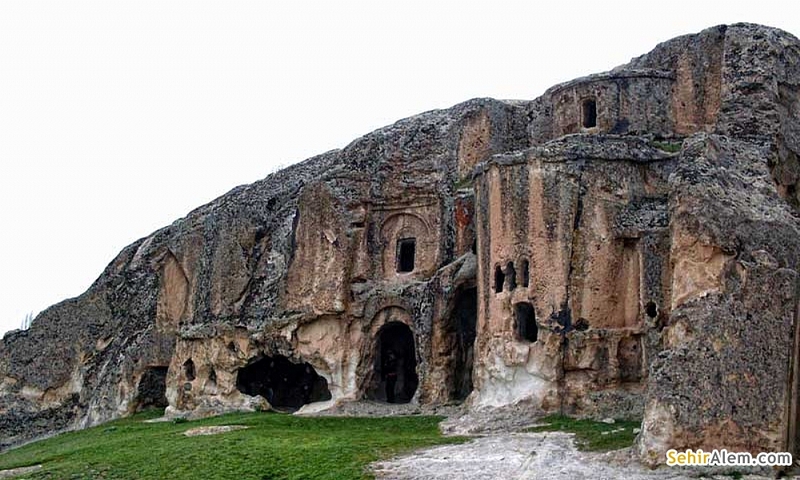 – Celali revolts in the seventh century, Afyon in the nineteenth century with the collapse of the Anatolian industry declined. In 1833, Kavalalı Mehmed Ali Pasha was occupied for several months. On March 28, 1921, the Greeks invaded the city. Then on April 7, 1921, they retreated and took it again on 13 July 1921. -Turkish İstiklal Commander-in-Chief Battle, which was the turning point of Harbin, took place in Afyon. On August 27, 1922, Afyon was taken over again by the rightful Turks, the Turks 1 The Greeks exterminated Afyon in the occupations of 1 year and 25 days. Ceremonials are carried out in Afyon on August 2, 2, and on 30 August in Victory Day in Dumlupınar.